Once a working farm, Glasbern Inn is today one of the most romantic hotels in Lehigh Valley and Allentown, capturing the ideal blend of historic charm, luxury lodging, and farm-fresh culinary offerings from our sustainable greenhouse. 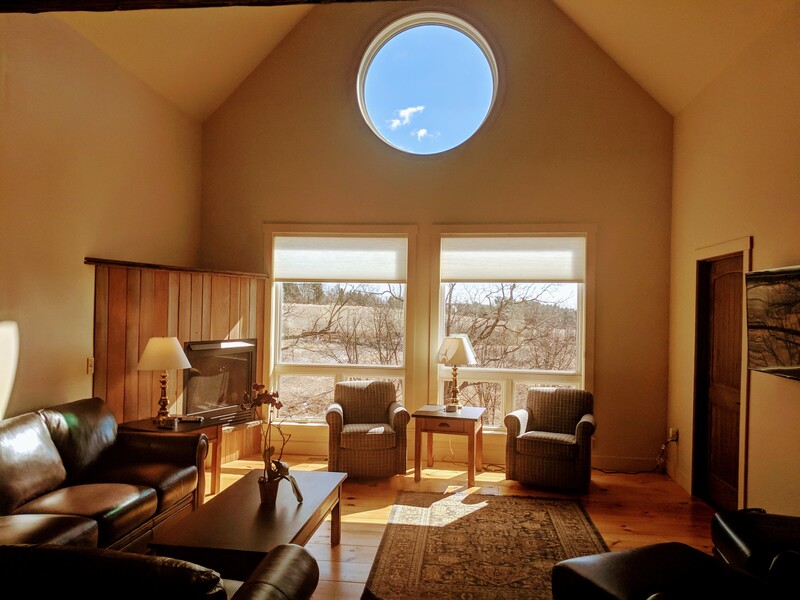 Experience all that Glasbern has to offer, with a picturesque pond, 150 acres rolling hills, restored cottages, and converted barns set the stage for your next retreat with your team. 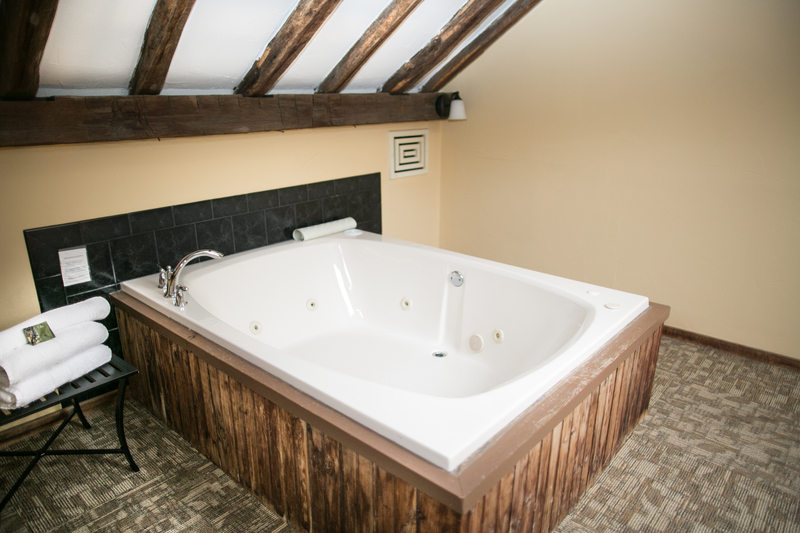 Relax and unwind here at Glasbern and discover why Yahoo Travel named Glasbern one of its Top Romantic International Destinations. Paired with tempting culinary excellence, our barn-style wedding and honeymoon destination is perfect for guests seeking a romantic escape. 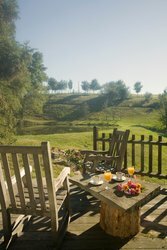 All overnight guests enjoy a complimentary made-to-order Countryside Breakfast with ingredients grown here on our sustainable farm. Browse through our packages and special offers to enhance your stay! 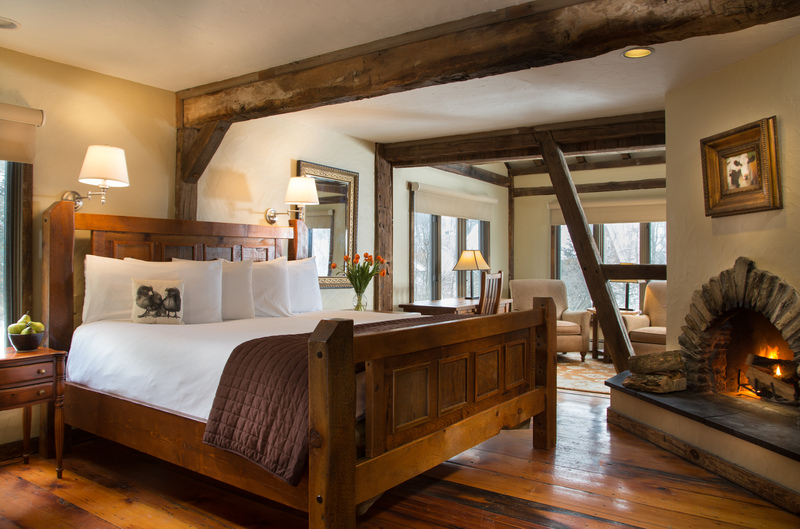 Experience suites with rustic plank flooring and robust beams overhead. 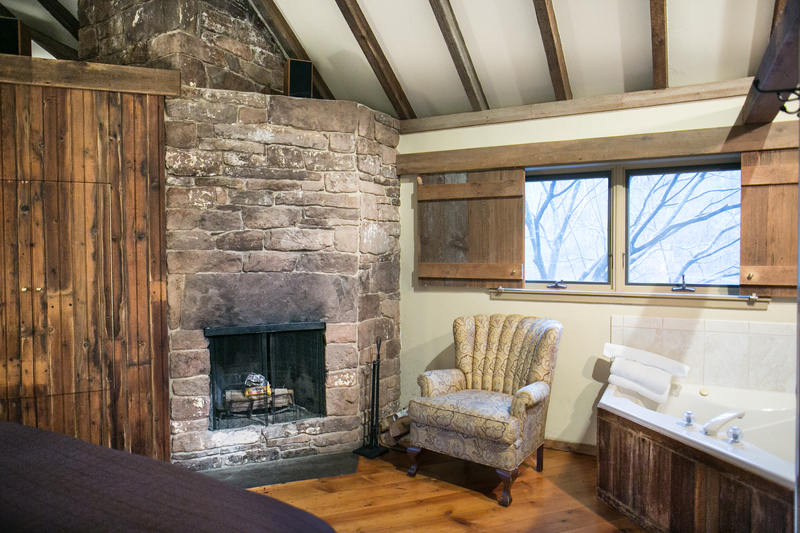 Let daily pressures fade away as you relax by the fireplace in our elegant restored barns. 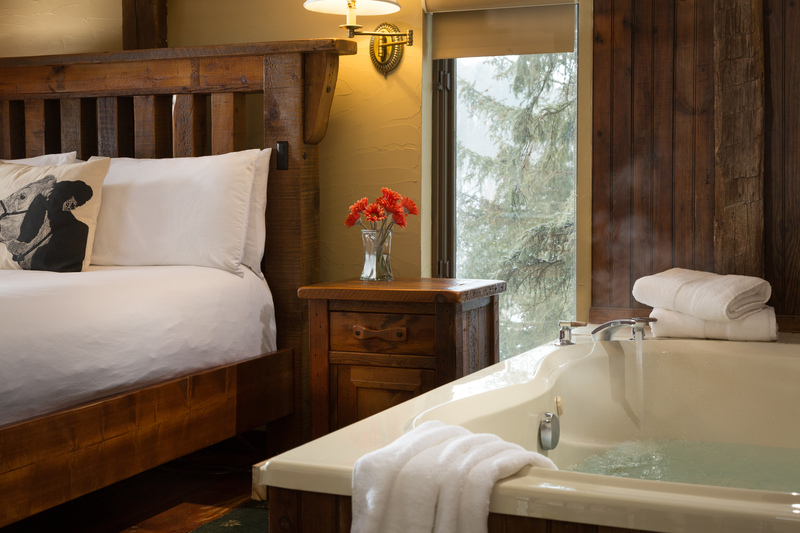 Soak in the tub in your suite before drifting off for a gorgeous night’s sleep in a luxurious Sleep Number® bed. 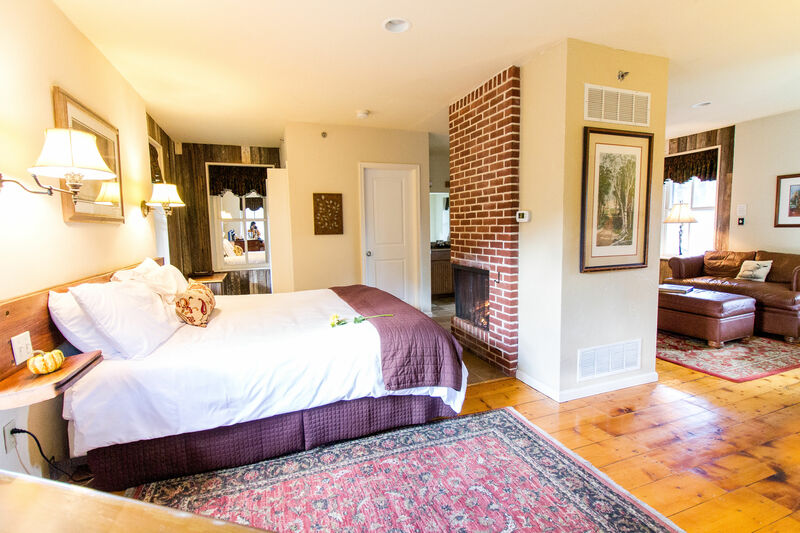 At Glasbern Inn, you’ll be transported to a different world when you stay at our one-of-a-kind hotel in Lehigh Valley, nestled amongst rolling hills and starry nights. From corporate and executive retreats to one-day and overnight meetings, Glasbern looks forward to hosting you and your team. Learn more about our meeting & event facilities and packages. 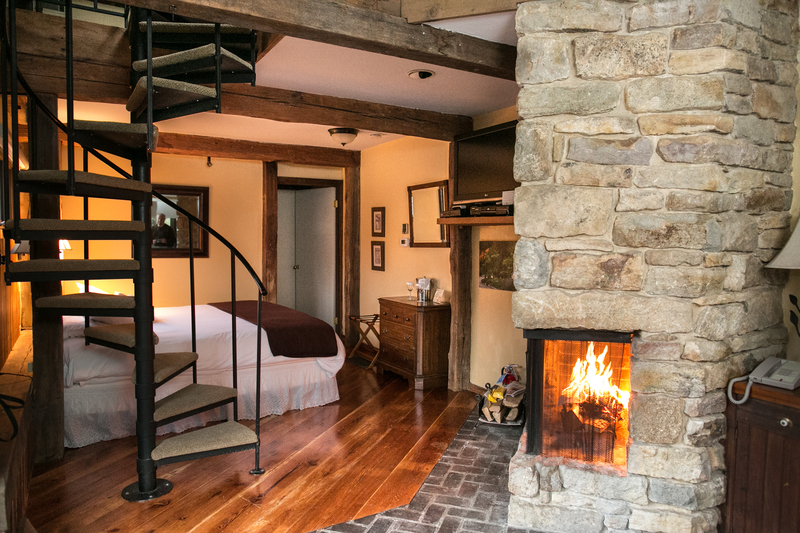 Please note, fireplaces will be out of service beginning July 6 through Labor Day. Learn more about our Cancellation Policy and 'Travel Insurance' program. 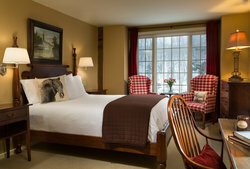 Enjoy the seclusion of our Garden Cottage Suite, perfect for travelers looking for complete privacy. 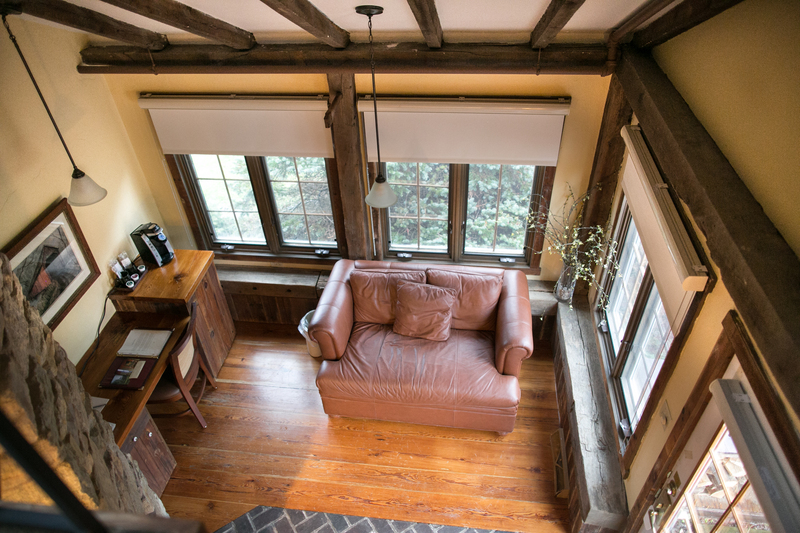 With cathedral ceilings throughout, the lower level of this deluxe suite features a spacious living room, fireplace, flat-screen TV, an antique desk, and wet bar for entertaining. 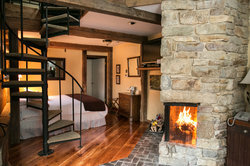 Upstairs awaits a luxurious king-size Sleep Number® bed, 2nd gas fireplace, soaking tub, flat-screen TV, private bath, and private deck with views of the pasture. 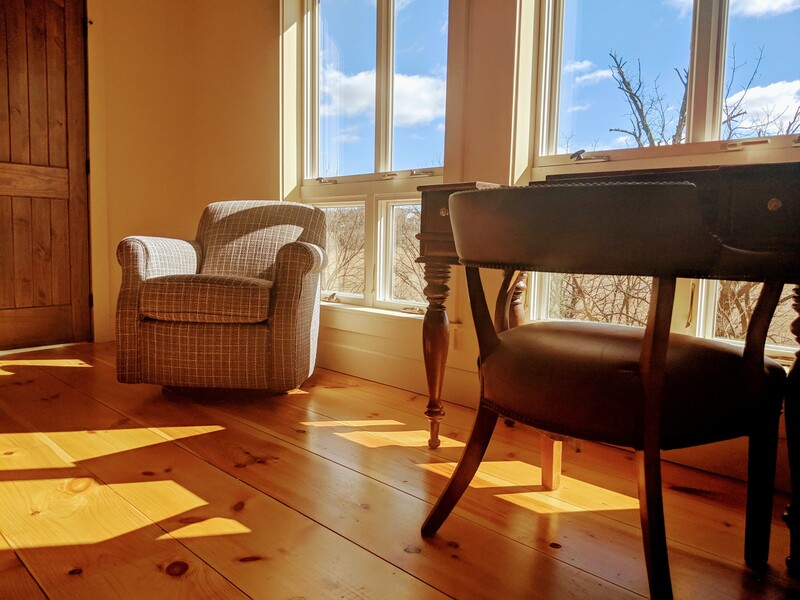 A complimentary full country breakfast served in the great room with every night’s stay makes for the ideal Pennsylvania getaway. 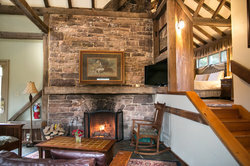 Please note, fireplaces will be out of service for the summer beginning July 4 through Labor Day. Step out on to your quaint private deck as you enjoy beautiful views of Fogelsville’s rolling hills. It’s the perfect place to enjoy your morning cup of coffee or watch the sun go down before you turn in for the night. 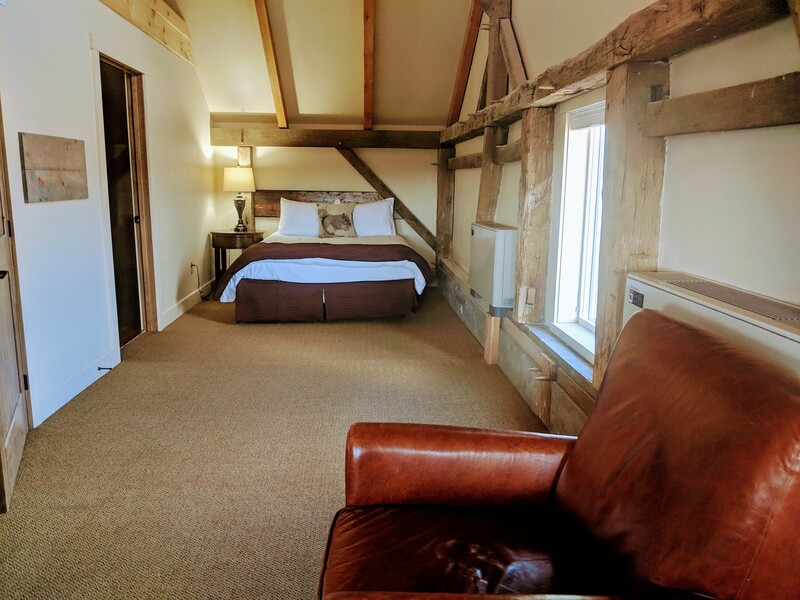 Upstairs awaits a luxurious king size Sleep Number® bed, 2nd gas fireplace, soaking tub, flat-screen TV, private bath, and private deck with views of the pasture. 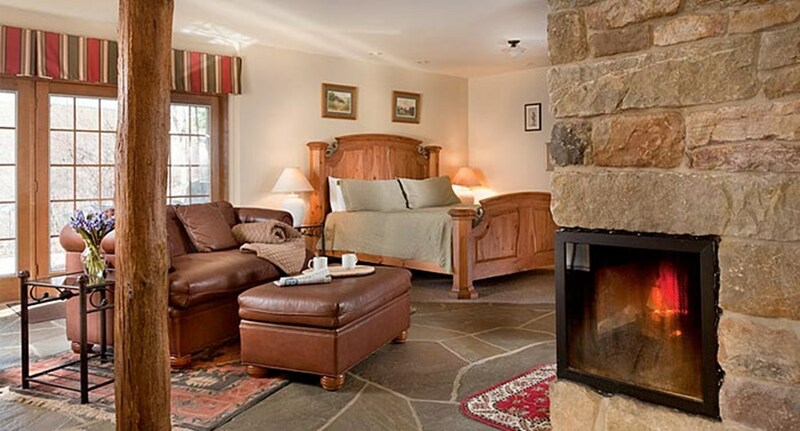 A complimentary full country breakfast served in the great room with every night’s stay makes for the ideal Pennsylvania getaway. Experience suites with rustic plank flooring and robust beams overhead. 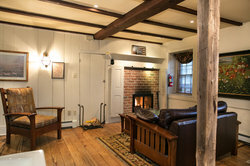 Let daily pressures fade away as you relax by the fireplace in our elegant restored barns. Soak in the tub in your suite before drifting off for a gorgeous night’s sleep in a luxurious Sleep Number® bed. 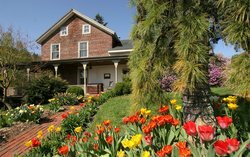 At Glasbern Inn, you’ll be transported to a different world when you stay at our one-of-a-kind hotel in Lehigh Valley, nestled amongst rolling hills and starry nights. 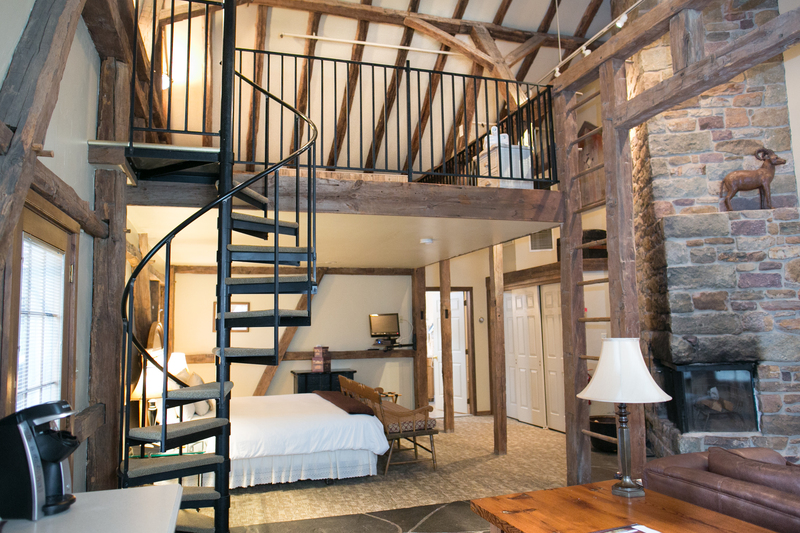 Indulge in the extra living space in the two-level Deluxe Suite. This suite is equipped with extra features such as a separate sitting area with comfy couches, a second flat-screen TV, as well as a private outdoor patio for entertaining guests. Select our intimate upper level Specialty Suite in the Carriage House. Each features a comfortable queen Sleep Number® bed along with a gas fireplace, flat-screen TV, and luxurious private bath. 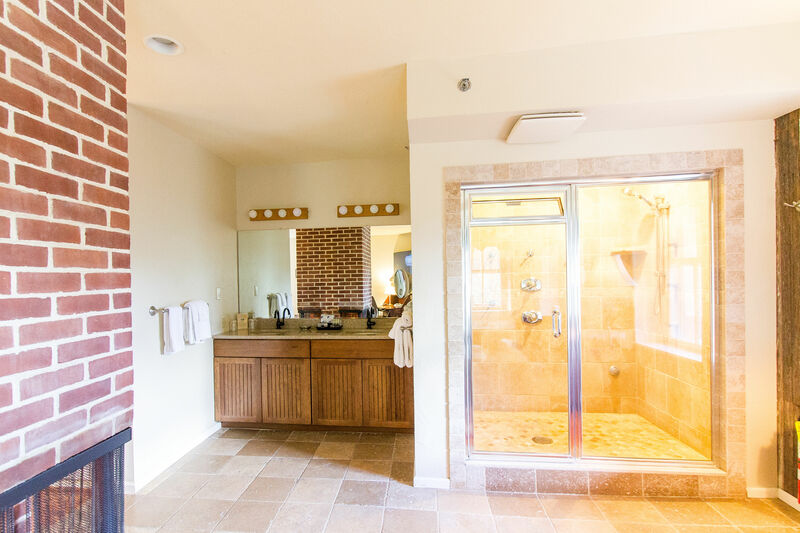 Our Specialty Suites are perfect for the business traveler looking to unwind after a long day of meetings. The Upper Carriage House Suite features beautiful cathedral ceilings with a large skylight that will truly take your breath away. Look up at the stars as you enjoy a soothing bath in the two person whirlpool or peaceful sleep in the king size Sleep Number® bed. Let your daily stresses melt away in the Upper Carriage House Suite as you relax in the warm two person whirlpool. Step into your attached sunroom featuring bright wrap around windows and romantic two person whirlpool tub. 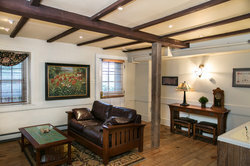 Stay with us in the spacious Carriage House Sunroom Suite and enjoy a number of relaxing and convenient amenities. 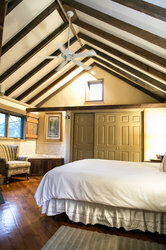 The luxurious and secluded Stables Deluxe and Lower Suites offer guests a complete oasis. Let your daily stresses melt away in the soaking tub before a quality night’s sleep in the comfortable king Sleep Number® bed. Featuring towering cathedral ceilings and spiral staircase in the spacious bi-level Deluxe Suite, or a relaxing outdoor patio with a porch swing in the Lower Suites’. 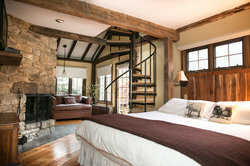 Choose one of our rustic Deluxe, Upper, or Lower Farmhouse Suites so that you can relax during your getaway at Glasbern. Sink into a king size Sleep Number® bed, or cozy up by the fireplace featured in each of these well-appointed suites. 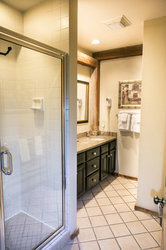 The spacious Farmhouse Suites all include luxurious bathroom amenities, including a soaking tub and steam shower for two. 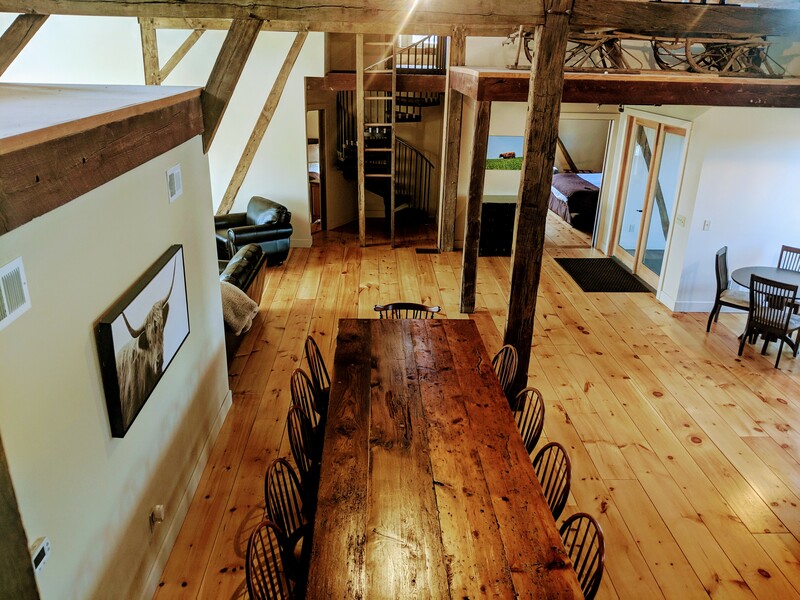 Featuring towering cathedral ceilings and spiral staircase in the spacious bi-level Deluxe Suite, or a relaxing outdoor patio with a porch swing in the Lower Suites’. 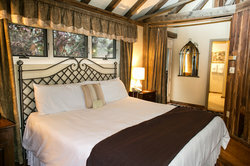 The luxurious and secluded Stables Deluxe and Lower Suites offer guests a complete oasis. Let your daily stresses melt away in the soaking tub before a quality night’s sleep in the comfortable king Sleep Number® bed. 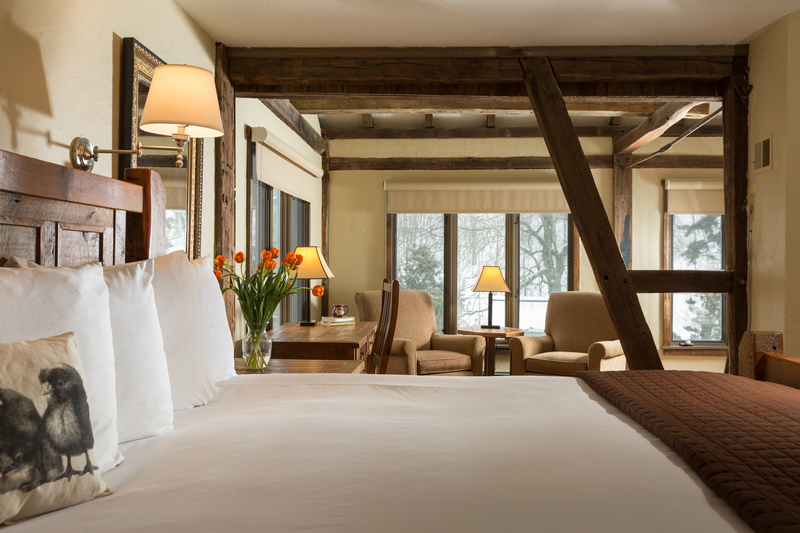 Enjoy a peaceful night’s sleep in our bi-level Gate House Suite. The warmth of the fireplace creates the perfect atmosphere to unwind after a long day while watching a movie on your flat-screen TV. Follow the rustic spiral staircase leading to an intimate soaking tub in the skylight loft. 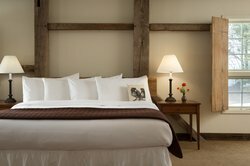 Drift off to sleep on your comfortable king Sleep Number® bed to reenergize before another day at Glasbern. 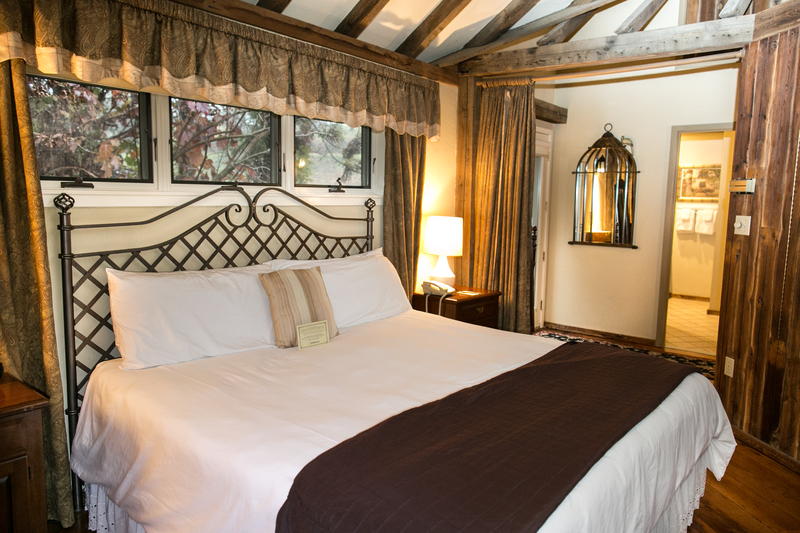 Enjoy a peaceful night’s sleep in our bi-level Gate House Suite. 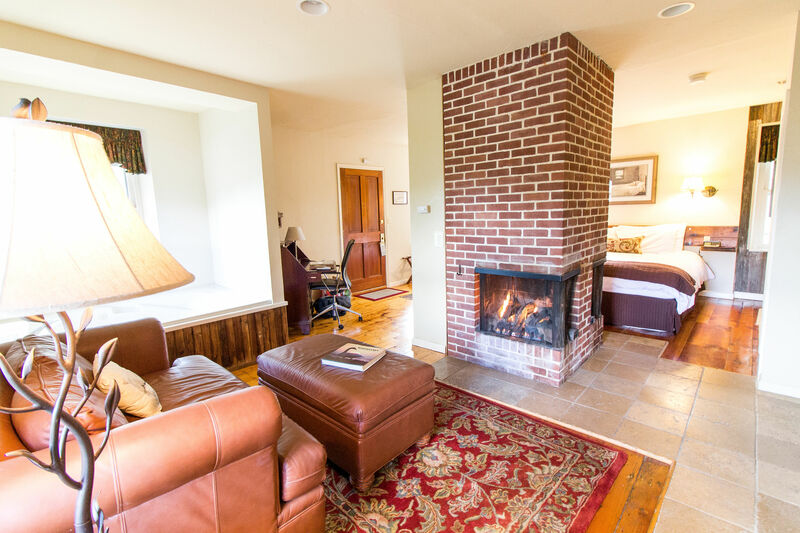 The warmth of the fireplace creates the perfect atmosphere to unwind after a long day while watching a movie on your flat-screen TV. 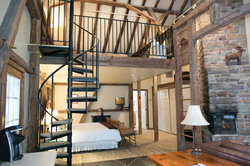 Follow the rustic spiral staircase leading to an intimate soaking tub in the skylight loft. Drift off to sleep on your comfortable king Sleep Number® bed to reenergize before another day at Glasbern. 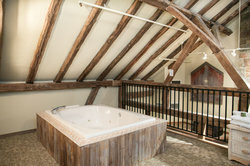 Relax in the tub in your room or reserve a private spa treatment! Sleep well in the Upper or Lower Packhouse Suites featuring an ultra-comfy king Sleep Number® bed in addition to the contemporary styling and thoughtful in-room amenities. 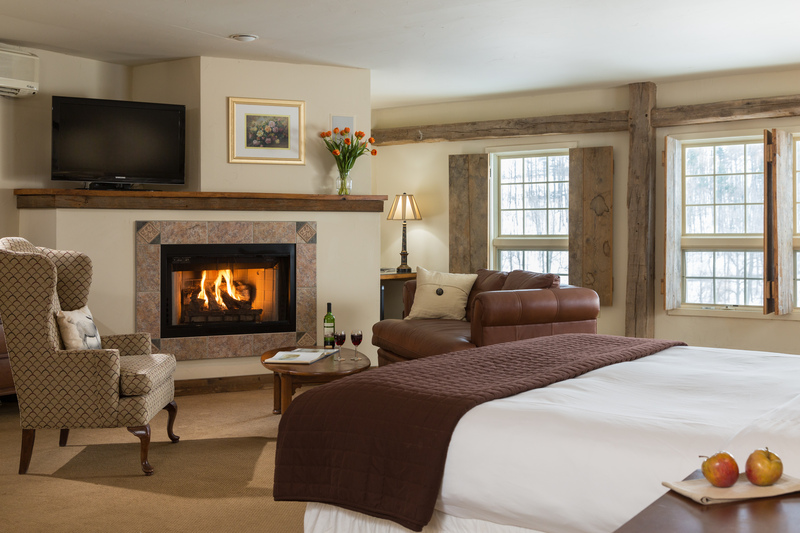 Watch the sun set from your romantic patio in the Lower Suite, or relax by the fireplace with a glass of local, fine wine. The Upper Rooms showcase beautiful cathedral ceilings with exposed beams in some or large west-facing windows in others. 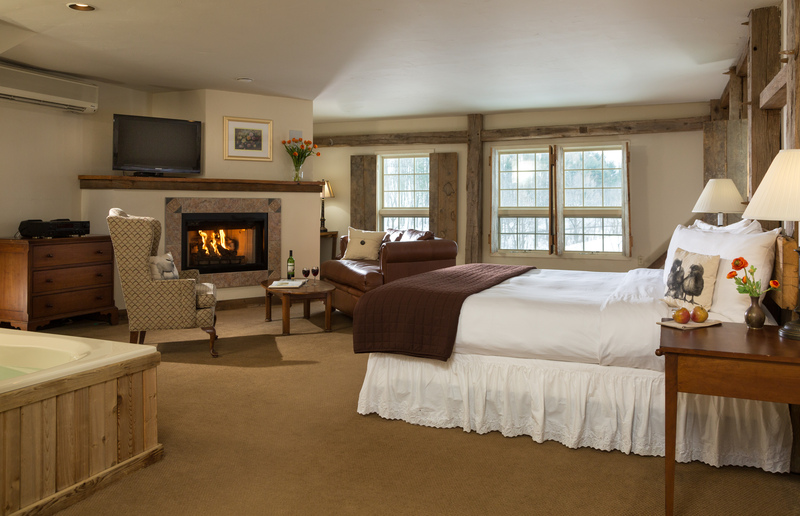 You’re sure to get a restful night’s stay in our Lower Pack House Suite. Drift to sleep on your luxurious king size Sleep Number® bed after spending a relaxing night by the wood-burning fireplace. 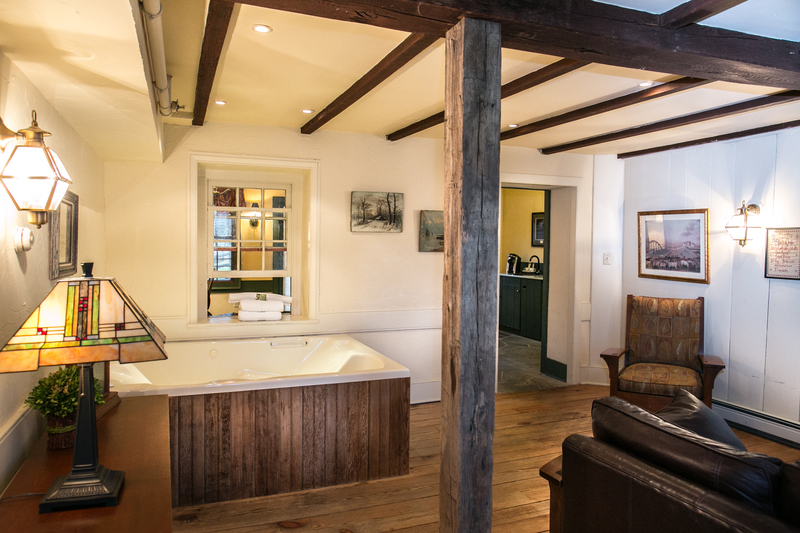 The expansive Lower Pack House Suite is the perfect location for romantic getaways or group bookings. These suites come equipped with a relaxing two person whirlpool, flat screen TV, and comfortable Sleep Number® bed. Catch up with a good book or movie by the cozy gas fireplace in the Lower Pack House Suite. This suite includes a number of modern amenities sure to have you coming back. 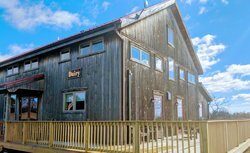 Ideal for a group getaway or corporate retreat, The Dairy is a spacious lodge-style guest house with 6 rooms, accommodating 2 guests each. 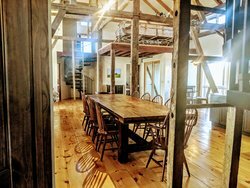 Visitors can enjoy the venue's dining room with a fully-equipped kitchen, or spend an afternoon on the picturesque outdoor deck. 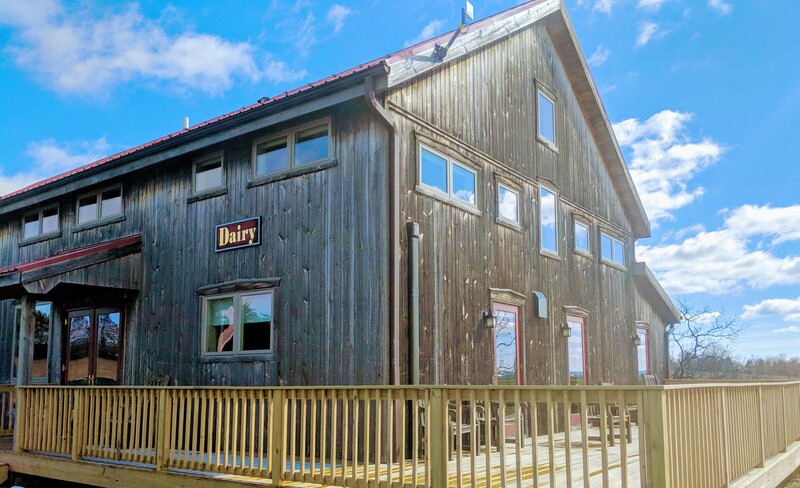 Learn more about The Dairy here! 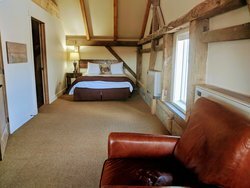 Our newest accommodation option provides an exclusive escape for groups looking to enjoy a private multi-night or weekend outing in the area. The Dairy features 6 on-site guest rooms, each accommodating 2 guests, and is furnished with plush beds and upgraded amenities such as soft bath robes and bath products. Unwind by the fireplace, bond with your group while gathered around the flat-screen TV, or cook a delicious meal using the accommodation’s fully-equipped kitchen. 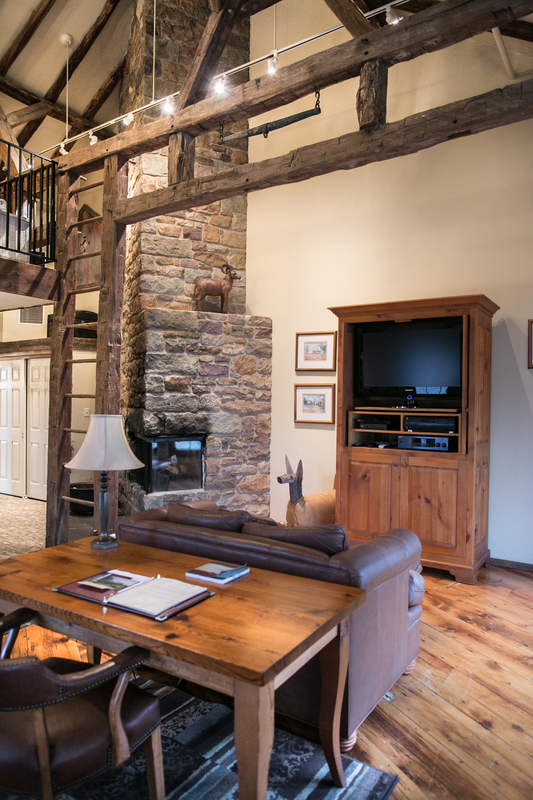 The Dairy is the perfect setting for your next retreat to charming Lehigh Valley. 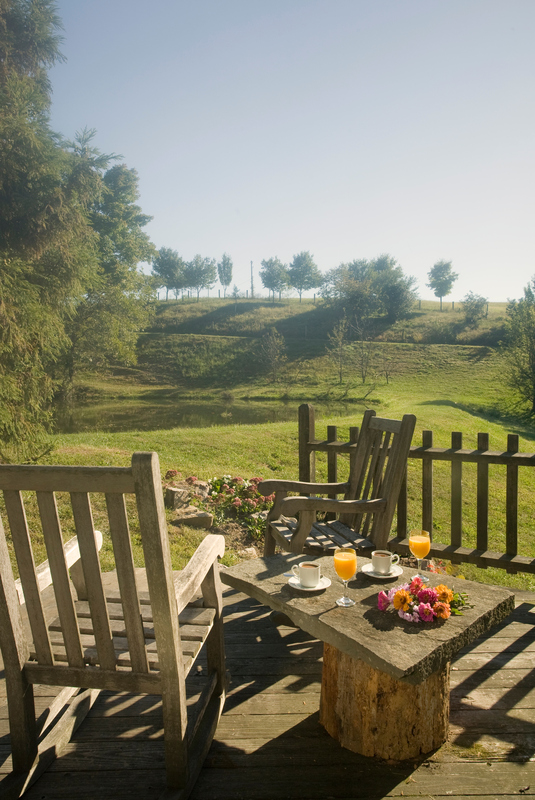 Create lasting memories amidst the scenic backdrop of rolling pastures and pristine ponds at The Dairy. 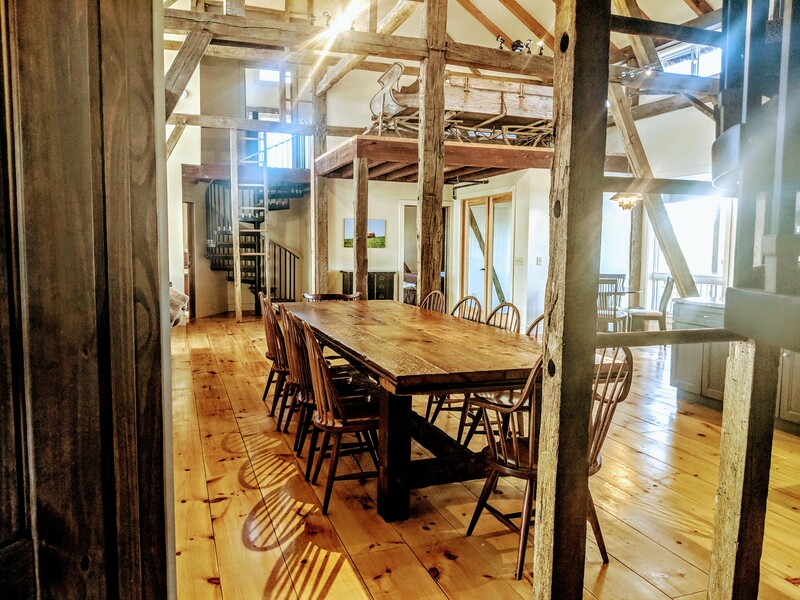 Gather with your loved ones in the venue’s shared common areas, such as a dining room with fully-equipped kitchen and picturesque outdoor deck. 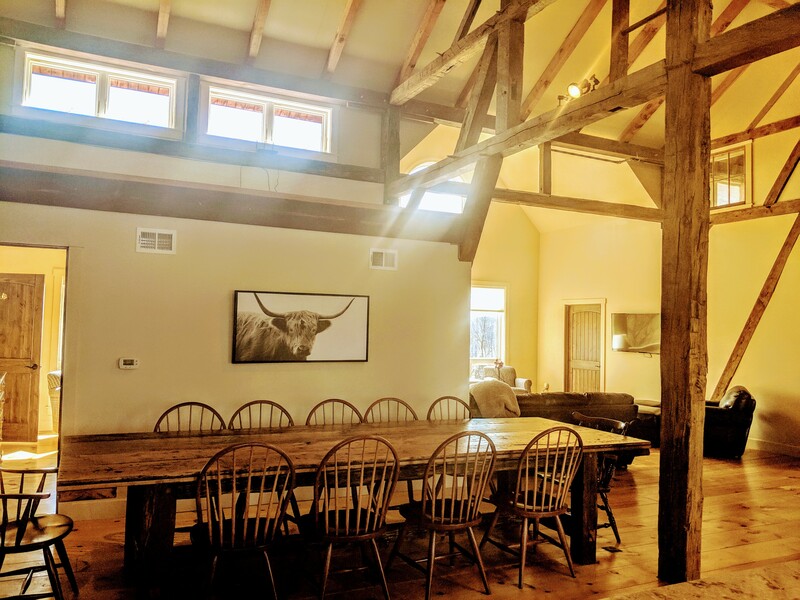 Whether you’re celebrating your special day with your wedding party or planning a productive corporate retreat pleasantly removed from the hustle and bustle of everyday life, our newest venue is your ideal choice for small private events in Lehigh Valley. In addition to The Dairy’s on-site amenities, we are also happy to provide catering services for your dinner party. Alternatively, savor a delectable and elegant dining experience at Glasbern’s on-site restaurant. Dating back to the 1700s, the Mainbarn Rooms offer your perfect historic retreat, with updated in-room amenities for the modern traveler. Watch your favorite movie on the flat-screen TV, or catch up on some work with the large workspace. Rest for the night in the comfortable queen Sleep Number® bed and wake up to your full country-style breakfast. The Mainbarn Rooms are perfect for travelers looking for ease and efficiency, with no additional frills. Before reserving, please be aware that there is significant overhead noise from the kitchen, restaurant, and front desk area (in the lower level rooms). Overhead traffic can be expected from 6 AM until at least 11 PM. 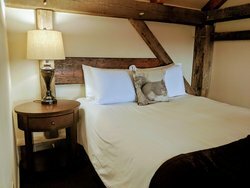 Stay with us in the cozy Standard Room located in our Main Barn. 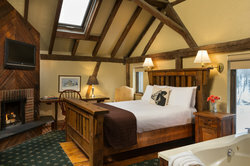 The room features everything you need for a relaxing getaway with friends or loved ones. The ADA compliant, luxurious, and secluded Stables Lower Suite offers a fireplace with sitting area, king-sized Sleep Number bed, Soaking Tub, large private bath with a roll-in shower, private outdoor patio, wet bar, flat-screen TV with DVD, and stereo/CD player. This room is both handicapped accessible and pet friendly. Read more about our ADA & accessibility information.